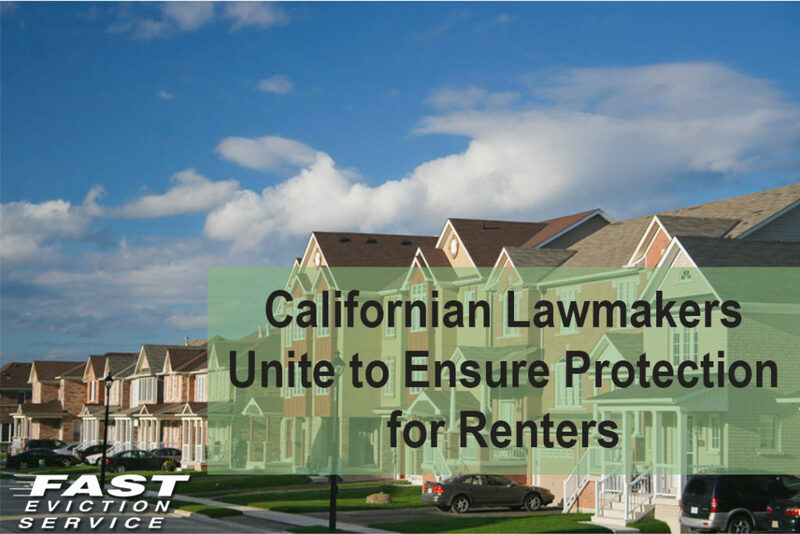 After the failure of a bill that could have further extended rent control, three Californian lawmakers have united to introduce tenant-favorable legislation that might add more protection for tenants/renters. Democratic Assemblymen David Chiu of San Francisco, Santa Monica’s Richard Bloom and Almeda’s Rob Bonta believe that their collaboration [if successful] will make it difficult for landlords to evict tenants and extend timelines prior to eviction. Assembly Bill 2364 from Bloom seeks changes in the Ellis Act. Currently state’s law lets landlords evict renters from rent-controlled apartments if the building is being taken down or the owner is quitting rental business. The impending bill will make it harder for landlords to perform unit-by-unit tenant evictions and they will be required to provide a year’s notice before eviction. Assembly Bill 2343 from Chiu is aimed at extending the duration required for tenants to pay rent prior to being evicted and will ensure that they get more time for responding to an eviction lawsuit. Bonta’s legislation will be introduced by the end of this week. Reportedly, it will make it necessary for landlords across the state to comply with a list of pre-defined reasons like damages caused to the rental unit, boisterousness or non-payment of rent, etc., prior to evicting their tenants. This process is called “just-cause” eviction. As per a recent state report, about one-third of all Californian renters are forced to pay over half of their incomes as rent. Advocates of tenant rights are collecting signatures for an upcoming November ballot measure in order to expand rent control in the state.